FaxFX was established in South Africa. We’re a leader in the provision of internet fax services. What sets us apart from the rest is our cutting-edge B2B and B2C software platform. Quality, safety and reliability are our top priorities, even when catering for extremely high volumes of fax management. FaxFX has managed to consistently grow at a rate of 30% per year since its inception, despite the local and international economic instability, and the dynamic trends in this industry. 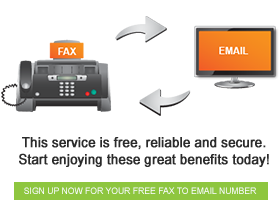 We now supply our fax to email services to a large portion of the South Africa Market. We have hundreds of thousands of individual users and over 8 000 corporate domains in our portfolio. We cater for everyone, from small businesses, to large, international corporates. Our aim is to always provide quality products to all our clients, regardless of their size through our reliability and unmatched customer service. We are also a constantly evolving and dynamic company, always abreast of the latest trends in our industry.